Mangalya Dosha has grown to be a frequently found dosha or astrological drawback. The planet Mars is known as Mangalya in the ancient Sanskrit language. 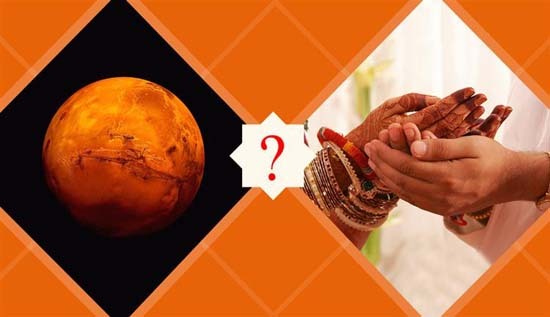 An astrological situation when the planet Mars exists in the 1st, 2nd, 4th, 7th, 8th and 12th house of a person’s horoscope chart is commonly called as Mangal Dosha. Those who have this Dosha are known as Mangalya. There are a total of twelve houses in a person’s astrological chart. The placement of the planet of Mars in any of the previously mentioned six houses causes Mangal Dosha. • People of both the sexes can be Manglya..
•	The planet of Mars represents respect, energy, ego and self-esteem. • Therefore one with the Mangal Dosha has a volatile temper. • Manglik individuals thus face a lot of problems in bending and adjusting with their partners. •	Mangal Dosha affects the married life, mental state, and also leads to financial loss. 1. Fasting to placate Mars. 5. Wearing gemstones in the form of rings.